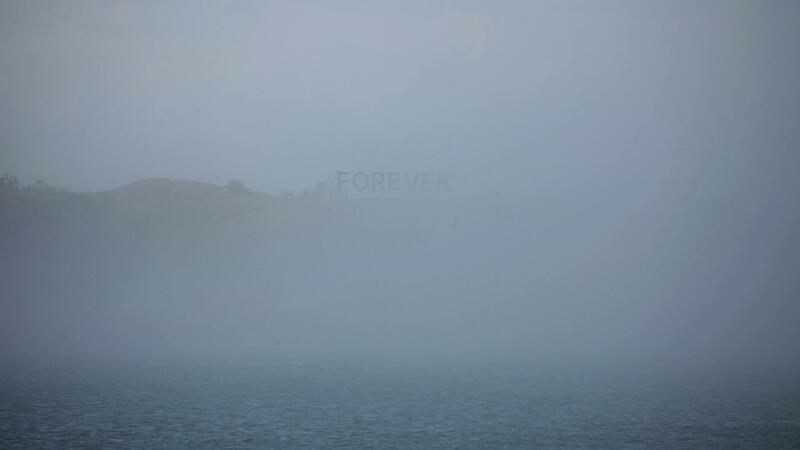 Alicia Eggert is an interdisciplinary artist whose work focuses on the relationship between language, image and time. Her artwork has been exhibited internationally, at venues such as the CAFA Art Museum in Beijing and the Triennale Design Museum in Milan. It has been featured in publications such as Typoholic: Material Types in Design and Elements and Principles of 4D Art & Design. She is the recipient of a TED Fellowship, an Artist Microgrant from the Nasher Sculpture Center, and a Direct Artist Grant from the Harpo Foundation. She is an Assistant Professor of Studio Art at the University of North Texas in Denton. 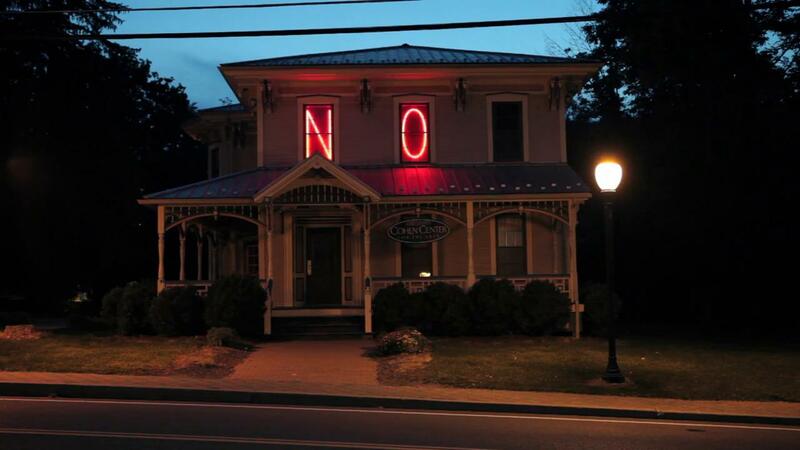 Three large red neon letters – N, O, and W – each blink their own Morse code. Combined, their erratic flashing patterns align to spell the word “NOW” at inconsistent and unpredictable moments. This project was made possible by support from many people in the community, including T.J. Goetting, the owner of Dudley Island, and the Tides Institute and Museum of Art in Eastport. Funding was provided by a grant from the University of North Texas. 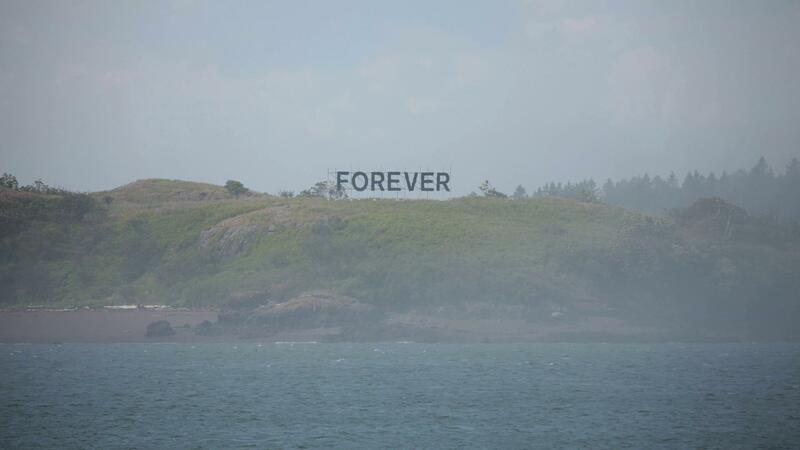 “On A Clear Day You Can See Forever” is a temporary public sculpture that is installed on Dudley Island in Maine from July 1 – July 18, 2016. 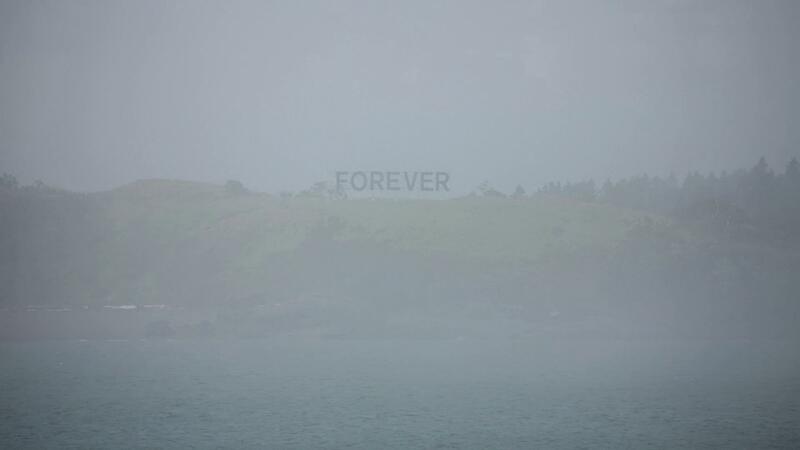 The sculpture consists of a steel scaffolding structure that is 15 feet tall, 50 feet wide, and 8 feet deep, which supports 8-foot tall painted plywood letters that spell the word FOREVER. It is visible from Lubec, Maine, which is the most easternmost town in the contiguous United States.